4Wall Celebrates 10 Years of Lighting Alvin Ailey | Press Center | 4Wall Entertainment, Inc.
New York, NY- As one of the most respected dance organizations in the entire country, Alvin Ailey American Dance Theater has been at the forefront of dance for more than 50 years. For the last ten of those years, the Ailey company has turned to 4Wall New York for the lighting equipment needed to illuminate breathtaking dance performances choreographed by some of the greatest talents of their respective generations. Longtime Ailey Lighting Director Al Crawford of Arc3Design was initially contacted by Al Ridella of 4Wall New York at a conference 11 years ago. "It was very conversational and relaxed," said Crawford. "We discussed the way the Company toured and he had some great ideas about how to improve upon that by incorporating in modern equipment and really exploring technology. To do that you need a lighting company that"s going to work hand in hand to make this integration successful." Crawford decided to give 4Wall a chance, and the first tour showcased the Company"s desire to help Ailey grow to new heights from a lighting perspective. "We designed new racks to help everything move more efficiently, and the 4Wall team built them and helped us to find new equipment that would ultimately make the show look better," said Crawford. Ailey also needed a control system that would help manage the company"s significant lighting file infrastructure. This had been a recurring issue for what seemed like decades. 4Wall was willing to invest in brand new technology to address the issue, purchasing one of the first ETC Eos control consoles. Crawford noted the serial number on the board: number 8. The gear seen at Ailey performances has continued to evolve over the years, with the latest incarnation of Ailey"s tour including Martin MAC Viper Profiles and Performances in addition to the more standard fare like ETC Source Four Ellipsoidals and Pars. 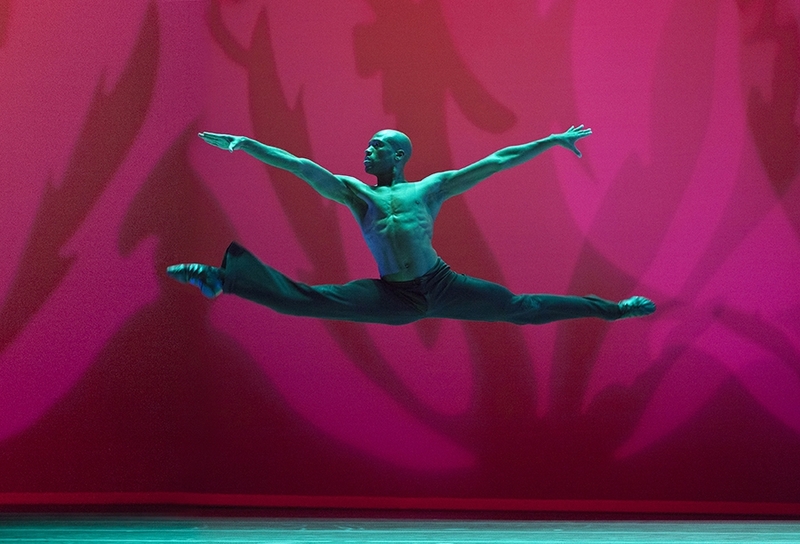 "The Ailey company has always been on the cutting edge through choreography and design. We have always been willing to take some risk of embracing new technology as it pushes our senses and capabilities," said Crawford. In addition to working with Crawford to add the newest equipment to the Ailey performances, 4Wall also impressed the Designer with the ongoing maintenance and preparation involved in the delivery of the rental gear. "I"ve become very aware of the thorough maintenance and upkeep of the equipment provided by 4Wall. It is something I rely on daily now, not only with Alvin Ailey but with other projects through Arc3Design. We build this confidence in the equipment into the production schedules, ultimately because we know that the gear coming off the truck is going to perform with confidence due to the diligence of the 4Wall team in the shop." "Ailey"s about relationships, it always has been - especially with its vendors. The fact that we actually have a relationship, a real relationship with our account executives, with the folks in the shop, with the ownership of the company- we know they actually care about Ailey and about the work that we"re doing, and that"s been proven for a decade."